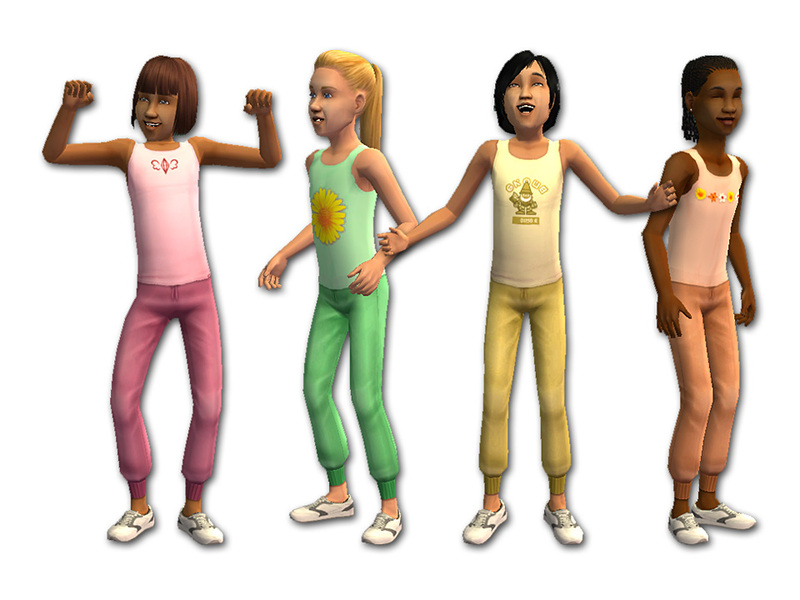 I've set these outfits as Athletic and Everyday (just in case your Sims want to wear their sporty duds to school). They use a new mesh (included in the zip file) and have a working fat morph; see if you can figure out which Sim needs to do a little more exercise! No EPs or SPs are required. Also thanks to NixNivis who made the awesome Sim Bouncer that the girl in silver is sitting on. If you haven't downloaded it yet, I highly recommend you do so. 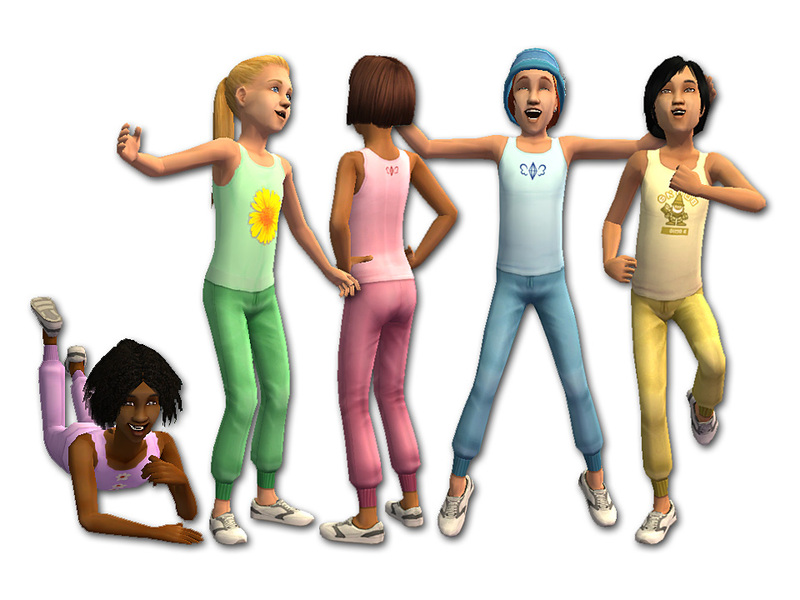 Your Sims (and all their friends and neighbours) will love it!